You might have noticed something different about the Portland skyline last Friday, September 30th. The Oregon Convention Center spires, a signature of the nighttime PDX urbanscape, were DARK! 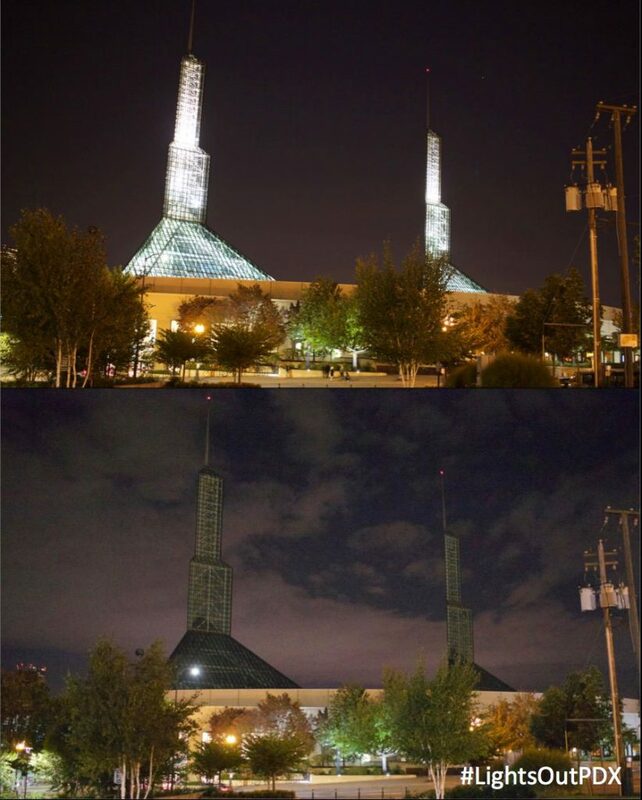 That’s because OCC was one of the Lloyd EcoDistrict’s Lights Out Lloyd participants, joining numerous other buildings in the neighborhood and around the city that went dark in support of the Audubon Society of Portland Lights Out/Bird Safe program. We’ll be using the momentum of Friday’s launch to establish Bird Safe building standards in Lloyd – stay tuned for updates and contact Devon at devon@ecolloyd.org with any questions or inquiries! Thanks to Portland Audubon Society for the pictures!